The NCAA Division I features some of the best basketball that you will see not only in the United States, but anywhere in the world. The top-tier D1 teams garner huge television audiences from mid-November until the season culminates in the early Spring. Knowing this, it follows that NCAA basketball betting is one of the most popular forms of wagering ANYWHERE – especially in the United States. Full of history and even more full of star players and exciting matchups, NCAA basketball really has it all. In the following few sections, we will walk you through the different types of betting that can occur before or during a given NCAA basketball game. Before we get into the individual bets themselves, it is important that we take a few minutes to discuss the two different styles of betting. When it comes down to it, you can either place wagers before a game tips off, or you can place wagers while a game is ongoing. The individual bets that you are going to be placing are the same whether you are betting before or during a game, but the differences are worth noting. Pre-game betting is exactly as its name implies. This mandates a person to place a wager before the game tips off. If you do not place your bet in time you are out of luck as these markets close and remain closed. With live betting, however, missing the tip-off is not something you need to worry about. This is the case because live betting happens during the run of play. Whether you are placing wagers during a commercial timeout or while the point guard is dribbling the ball past midcourt, it doesn’t matter—wagering options are always available. The major difference between betting before a game begins and betting after it has already started is the fact that the odds are much more fluid for live bets. When you see a pre-game spread, though it may move slightly, it tends to stay within a pretty tight range; as do the odds. When we are talking about in-game spreads, however, not only are the spreads themselves going to shift with each score, the odds on those new spreads are also going to change. 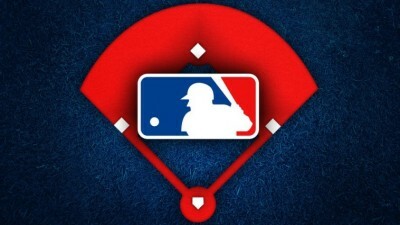 As far as popularity is concerned, there is no doubt that pregame betting is the style of wagering most people employ. It is a time-tested classic. Not to mention, live betting is a somewhat new development that many people have simply never experimented with yet. If you are going to begin (or continue) betting on NCAA basketball games, it would behoove you to learn just a little bit more about what the individual bets are and how you can profit from them. You would be surprised to learn just how many people place bets all the time without truly understanding the odds. Without fully understanding the wager you are about to make, what you are doing can best be described as shooting in the dark, or flying blind. The next few sections will work to clear your vision so that you can make the best, most informed decisions possible. When it comes to over/under wagering, you can throw the names of the individual teams out the window shortly after the bet has been placed. The reason for this is because, in order to win the wager, both teams need to help you out. Put simply, an over/under wager is a bet that says the final score of a given basketball game will either be over or under a certain amount. Of course, when we say “final score,” we are talking about the final score of both teams combined. To illustrate how one of these bets might work and might look, we will offer you the following hypothetical example. In this example, let’s say that the Duquesne Dukes are travelling to Philadelphia to take on the Saint Joseph’s Hawks. This game is expected to be fairly high-scoring, so the over/under is listed at 148. The odds on an over bet are listed at -115, while the odds for an under bet are listed at -105. If you place a bet on the over and the game’s combined score reaches 149 or higher, you are a winner. The same is true for an under bet should the final score combine to total 147 or less. As for the odds, we will brief you on what they mean. First and foremost, it is almost always true that odds with a “-“ in front of them signify a favorite, while odds with a “+” next to them determine an underdog. Though most sites will calculate your potential winnings right there for you, we will walk you through how you can determine this for yourself. For this, we are going to continue with the Duquesne/St. Joe’s over/under example above. Right away, you will notice that both odds have a “-“ in front of them. This is common for over/under bets as they are more often than not more of a toss-up than anything else. At odds of -115, a $100 wager offers you the chance to win $86.96. To get this number, all you have to do is take your $100 wager, then take the -115 odds and move the decimal place 2 places to the left, giving you 1.15. By dividing 100 by 1.15, your answer will end up being roughly 86.96. You can follow the same process to figure out what a winning under bet would earn you at odds of -105. 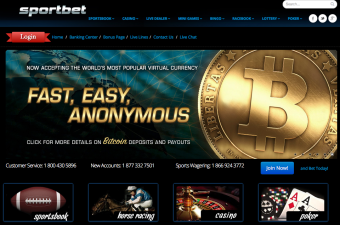 If you are in any way familiar with the sports betting world, you have probably heard someone inquire as to what the spread of a particular game is. 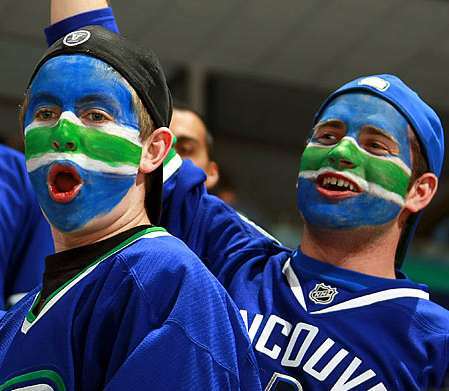 A spread bet is nothing more than a wager on the margin of victory (or loss) of a particular team. Once again, in order to illustrate this we will need to provide another hypothetical example. For this example, let’s say that the Duke Blue Devils are hosting ACC rival Wake Forest. Because Duke is the home team and favorite, they are listed on the spread as -13. Wake Forest, on the other hand, is listed at +13. Before going any further, we are going to put forth a very simply way to understand spread bets from both the “-“ and “+” sides of things. When you pick a team and place your wager, think about that team as starting with a point advantage or disadvantage. In the above example, if you pick Duke at -13, you are basically wagering that Duke will overcome a 13 point deficit in order to win the game. You can think of it as though Duke is beginning the game already losing 13-0. If Duke can overcome this 13 point deficit by the time the game ends your wager will win. Wake Forest, on the other hand, can be thought of as starting the game already winning by 13 points. So long as they can preserve or build upon this 13 point lead by the time the game has come to a conclusion, a Wake Forest spread bet will win. Like the over/under, the odds for either Duke or Wake Forest spread bets would be the same, and both would more than likely be listed with a “-“ in front of it. The last and perhaps most straightforward way of betting on NCAA basketball is a moneyline wager. Though the name “moneyline” might throw you off, this type of bet is nothing more than you picking the team that you think is going to win the game outright, whether it be after 4 quarters or in overtime. We are going to continue with the Duke/Wake Forest game above. Because Duke were determined to be the favorites by way of their -13 spread, it goes without saying that they will be listed as the favorites on the moneyline. In a game like this, their moneyline odds would be -1000. This means that you will need to risk $100 just to win $10. Wake Forest, on the other hand, is sitting on the moneyline at +600. This means that a similar $100 wager stands to win you $600. This is determined in almost the same way as a winning amount would be determined for odds with a “-“ in front of it. For this, you take the 600, move the decimal two places to the left, and multiple that number (6) by your wager. Once again, however, the website you are using to bet on NCAA basketball games will do all the calculating for you. With hundreds of NCAA basketball teams in existence, finding the biggest and most popular events upon which you can wager is not often the most straightforward thing. We have created this section to help you out a little bit. First and foremost, the biggest conferences are also the ones that feature the most betting markets and wagering options. Conferences like the American, Big Ten, ACC, Big 12, and Pac 12 are all what most would consider to be the most popular. Not only are these the conferences featuring the biggest, most high-profile games, they are also the conferences featuring the highest overall level of basketball. At the end of the season, these conference rivals get together and play in their respective conference tournaments, which not only delivers bragging rights for one school but also determines seeding in the NCAA tournament. This is where a ton of money exchanges hands at sportsbooks in the USA and usually provides a barometer of how much will be bet on during the NCAA tourney. Apart from the regular season, you also have the postseason and its many tournaments. Chief amongst the tournament offering is the aptly named NCAA tournament. This is an event featuring more than 60 of the best teams in the nation playing a tournament to determine who will be crowned National Champion. It is like the aforementioned conferences in that it features only the best basketball, but unlike conference play—which spans across months—the Tournament is something that hosts a lot of action in a short period of time. This means that there are literally endless opportunities for betting. 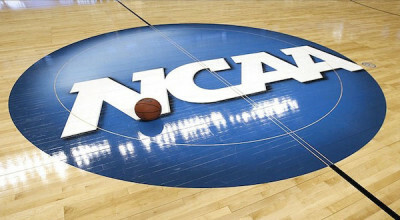 The NCAA Tournament alone is a major part of the reason why betting on NCAA basketball has become so wildly popular in the US and around the world. When it comes to sportsbooks featuring NCAA basketball betting markets, almost all of them do. In this day in age, you would be hard-pressed to find a single site that does not offer you the chance to bet on college hoops. Of course, there is still research that needs to be done by you because not every sportsbook is created equally. So while one book may feature hundreds of betting options for games that span across more than 10 conferences, another may only offer betting on the absolute most high-profile games. If you fancy yourself a big NCAA basketball fan, this is something that you would likely enjoy knowing prior to being greeted with only a few betting markets.